ASAP Garage Door & Gate - Service Company in Los Angeles, CA. ​When it comes to garage door and gate services, it's all about the technicians you employ. ​The reason we can rightfully claim being the number one company in gate services and garage door services in Los Angeles, CA is because we have the leading technicians working with us. Not only do they have the certifications, years of training/experience, they also have amazing customer service skills. Take a moment to consider just how important your garage door or gate is to going about your daily activities. Having a broken one could mean putting your entire life on hold. Which is why it's important to hire a technician who knows what they are doing when the time comes for a repair. Don't waste your time and money on a Call us for ​REAL professional service. Certifications from major brands of overhead door parts and gate parts. A high level of training or on the job experience of multiple years. And lastly, but most important - they have to excel in customer service. Our mission statement at ASAP Garage Door and Gates is that the customer comes first. We want every aspect of our service to fit your needs. From the quality of the work done to our prices, we do our best to provide you with the best possible customer experience. Most companies like to charge an arm and a leg for their service fees. But we try to be reasonable when it comes to prices by working with your budget. We are proud to offer the most savings on garage door repair Los Angeles services. Trying to determine which company would best suit your needs? Use a search engine to look up the companies you are considering. A phrase like "Gate Repair Encino" works best. Sometimes, when a company has questionable practices, it will come up on the first few pages of the results. Search for the companies on review websites such as Yelp or Houzz and see what other people in your local area have said about the company. ​More often than not, when a company has poor practices, their reputation is not spared online. If a customer has a bad experience with a business, they are more likely to write a negative review to warn others. While it may not seem like it, this is beneficial for consumers, because it creates an incentive for the company to improve. Garage Door Repair & Installation in Los Angeles, CA. Control Panel / Remotes / Keyless Entry. Don't see the service you're looking for on this list? Contact us anyway. Chances are that if you found us - we probably offer it! Our certified technicians have the skills to do it all! RATED NUMBER ONE FOR GATE INSTALLATION & REPAIRS! Gate Repair & Installation in Los Angeles, CA. 24 hour support from technicians. Discounted parts and service rates. Quick mobile service in the local area. ​One to three year warranty on repairs. 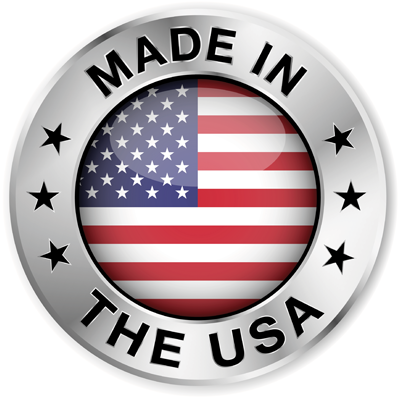 Quality U.S.-made parts and hardware. Gates can be a very complex project to work on. There are even some instances where it is necessary to remove the entire gate in order to repair it. And if you're installing a brand new automatic gate, you will also need machinery to get it done. Luckily, we provide all of our techs the necessary equipment to get the job done. Our trucks come fully equipped to deliver the fastest and most reliable local gate services. Contact Us For Same-Day Emergency Service. If your situation is an urgent one and you need same-day service on your overhead door or gate, contact us ASAP! We can have a technician to your property, ready to get the job done promptly within the hour. At ASAP Garage Door and Gate we fully understand how important it is to get broken overhead doors and gates fixed ASAP. A broken one can put your entire life on hold. If you find yourself in such a situation, we are here for you. We offer both same-day services and 24/7 emergency services. All of our same-day/emergency services are at no additional charges. If you have an emergency late at night and need our help, we will not charge any extra or hidden fees. We are happy to assist customers during times where there may not be anyone else around to help. Find out why local clients love us! If you're sitting there wondering why it is that local clients love our service. All you have to do is find out for yourself. By this I don't mean paying us to come out and fix something for you. You can simply check online review sites (Yelp, AngiesList, etc.) to see what our customers have to say about us. Then you will understand why we are rated the number one service company in the Los Angeles County area. ﻿"Wow I cant believe it, I searched high and low to find a company that would work with my budget. I'm a single mother of 3 and couldn't afford to get my gate fixed. And being a working mom I just couldn't leave a gate unrepaired like that... ASAP Garage Door and Gate, not only worked with me, but they did an amazing job fixing my gate just as if it were brand new!!!" - Joyce Hill. "These guys are crazy fast. I called with an emergency and they were here at my house barely 30 minutes after finishing up a phone call with them. I've had service companies come and look at my garage before, but they have never been this fast." - Gabriel Bloedt. "I called in and had a serious emergency situation. I had crashed into my own gate... and my husband wasn't even aware because these guys came and fixed it all up before he was even home from work. Wow!" - Faith M.
"Calling around endlessly for hours trying to find a pro who would come and fix my families broken door. Only to be told over and over that there was a big "late night service call" fee. I finally found this garage door repair Los Angeles service and they let me know right away that they could be here soon at no extra cost. I am soooo thankful that they did this for me! I was so worried that someone could have broken into my family's home during the night." - Emily Alberts. "just want to say thanks for living up to your warranty. My torsion springs broke again a few months after they did the repair job. And they came back out to fixit for me for free. Thanks!!" - Tom. ​"I'm not too sure what happened, but I woke up one morning and saw that my iron gate was basically in pieces... I called ASAP and they had an expert welder come out and fix it back up like it was new! So awesome :-)." - Katie Ortiz. Three Year Warranty On All Repairs! Being fast, and making reliable repairs with superior parts isn't the only thing we're about. We are confident enough in our services and gate parts that we offer our customers a full three-year warranty coverage. In fact, most companies either don't offer a warranty or only offer a three MONTH warranty. For things like doors and gates that should be operating smoothly for many years after repaired, three months will just not cut it. 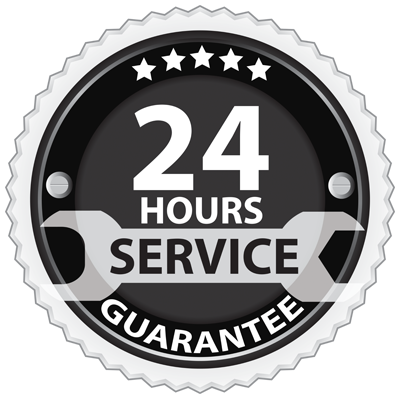 Only ASAP Garage Door and Gate offers a three year warranty on repairs. This warranty is good on all repairs we do. You won't find a deal like this with any other local company. When you want the best, contact us ASAP! We can have a either or both an overhead door and gate technician at your door in as little as 30 minutes from the time you call us. We are the fastest local mobile service in the Los Angeles, CA area. Gate Service Lake Hughes, CA. Garage Doors Central City, California, Driveway Gate Repair Paramount, CA. Gate Repair in Lafayette Square. Garage Door Company Van Nuys, California, Door Installer South El Monte, California, Wrought Iron Gate Repair Green Meadows, CA. Garage Door Service Thousand Oaks City, California, Door Repair Service Pacoima, California, Garage Door Repair in Wilmington. Automatic Gates Westlake, CA. Garage Door Company Winnetka, CA. Wrought Iron Gate Repair Newbury Park, CA. Driveway Gates Flower District. Electric Gates Holmby Hills. Best Garage Door Opener Laurel Canyon, CA. Driveway Gate Repair Castle Heights, California, Driveway Gates Mira Monte, California, Garage Door Installers Meiners Oaks, California, Garage Door Benedict Canyon. Gate Repairs Pasadena, CA. Automatic Gate Repair Sun Valley. Gates Rolling Hills Estates. Gates North Hollywood, CA. Door Repair Del Aire, California, Garage Door Experts Florence, CA. Iron Gate Repair Ladera Heights. Cheap Garage Doors Palmdale City. Electric Gates Tujunga. Electric Gates Valley Village, California, Automatic Gate Installation Hawaiian Carson. Gate Installers Tripps Canyon, CA. Iron Gate Installation Azusa. Gate Repairs Artesia, California, Door Repair Services West Los Angeles. Gate Repair East San Gabriel, CA. Door Repair Service Vincent. Gate Repair Near Newbury Park, CA. Electric Gate Repair Avocado Heights. Iron Gates Redondo Beach. Iron Gates Little Armenia, California, Garage Door Repair Eagle Rock, CA. Gate Installers Altadena. Electric Gate Repair Del Rey, California. Commercial Door Repair Lennox, CA. Driveway Gate Installers Gallery Row, CA. Driveway Gate Repair Agua Dulce, California, Garage Door Opener El Segundo, CA. Automatic Gate Installation Benedict Canyon, California, Garage Door Repairs Hermon. Gate Installation Hawaiian Gardens, CA. Gate Service Solano Canyon. Cheap Garage Doors Castaic Town. Driveway Gate Repair Bunker Hill, CA. Garage Door in Thousand Oaks City. Garage Door Opener Compton, CA. Garage Door Cable Repair Bell Canyon, California, Electric Gate Installation Oxnard. Garage Door Springs Park La Brea, California, Automatic Gates West Los Angeles. Gate Installation Newbury Park. Garage Door Opener West Hollywood, California, Garage Door in East San Gabriel, California, Doors Cerritos, California, Liftmaster Faircrest Heights. Gate Repairs Lake Los Angeles, CA. Cheap Garage Doors Palms. Commercial Gate Repair Burbank. Gate Repairs Civic Center. Commercial Gate Repair Rowland Heights, CA. Doors Oxnard, California, Electric Gates Huntington Park, California, Garage Door Opener Ojai City, California, Electric Gate Repair Ladera Heights, CA. Gate Repair Palms. Custom Garage Door Victor Heights, CA. Broken Garage Door Spring Santa Monica. Garage Door Repairs Florence, California, Commercial Door Repair Elysian Valley, California, Garage Repair Paramount, California, Automatic Gate Installation Hermon, CA. Automatic Gate Repair Century City, CA. Iron Gates Boyle Heights. Garage Door in Reynier Village, CA. Gate Installers Naud Junction, California, Garage Door Spring El Segundo, CA. Best Garage Door Opener Downey, California, Gate Installation Pasadena. Electric Gate Installation Industry, California. Driveway Gate Repair Pros on Monon St, Garage Door Repair Specialist on Nash Dr Driveway Gate Repair Pros on Allegheney Ct. Driveway Gate Repair Pros on Stonehill Ln, Garage Door Cable Repair Specialists on Venango Cir, Overhead Garage Door Experts on Converse Ave Driveway Gate Installers on Ashmore Pl Garage Door Repair Specialist on Catalpa St. Garage Door Opener Repair Technicians on Deane St Iron Gate Installers on Milo Ter Gate Repair Specialist on Grosvenor Blvd. Garage Door Extension Pros on Latham St, Iron Gate Repair Experts on Ashland Ave. Garage Door Repair Experts on Cato Way, Garage Door Cable Repair Specialists on Ridpath Dr Driveway Gate Repair Pros on Stoner Ave Iron Gate Repair Experts on Morgan Ave Gate Repair Experts on 21st Helena Dr, Driveway Gate Repair Pros on Barryknoll Dr Custom Garage Door Builders on Carmen Ave Automatic Gate Repair Pros on Dongerad Ave, Garage Door Opener Servicemen on Willimet St, Garage Door Repair Experts on Glenview Ave, Garage Door Cable Repair Specialists on Loganside Dr. Driveway Gate Installers on Pointer Ln. Garage Door Torsion Spring Experts on Nottingham Pl, Gate Repair Specialist on Wonder View Plz, Garage Door Opener Repair Technicians on Sierra Villa Dr. Garage Door Opener Repair Technicians on Vado Dr, Overhead Garage Door Experts on Woodstock Rd, Garage Door Repair Specialist on Beech Knoll Rd. Iron Gate Installers on WBirkdale St. Garage Door Opener Servicemen on Crown Hill Ave Gate Repair Specialist on Francisco St, Garage Door Cable Repair Specialists on Griffith Ave. Overhead Garage Door Experts on Hidalgo Ave. Garage Door Extension Pros on Mccollum Pl. Certified Welders on Norwich Ave. Garage Door Repair Specialist on Rossbury Pl, Garage Door Repair Specialist on Sunbeam Dr. Garage Door Opener Installers on Upperton Pl. Electric Gate Installers on Zamora Ave, Gate Repair Specialist on Apollo Dr Driveway Gate Repair Pros on Cabrillo Blvd, Gate Repair Pros on Grand View Dr. Garage Door Spring Repair Pros on Farlin St Iron Gate Repair Experts on Gayley Ave. Certified Welders on Linda Flora Dr, Driveway Gate Repair Pros on Mar Lu Dr, Automatic Gate Repair Pros on Fallston St. Automatic Gate Installers on Calvin Ave, Garage Door Torsion Spring Experts on Mettler St. Garage Door Opener Installers on Westminster Ave, Overhead Garage Door Experts on Compton Ave. Gate Repair Pros on Hargis St. Garage Door Opener Servicemen on Cashio St. Iron Gate Repair Experts on Dahlia Dr Garage Door Cable Repair Specialists on Frances Ave, Automatic Gate Installers on Goodview Trl. Garage Door Spring Repair Pros on Ladd Ave. Iron Gate Repair Experts on Sky Ln Garage Door Spring Repair Pros on Pertheli Ave, Automatic Gate Repair Pros on Rockwood St. Garage Door Spring Repair Pros on Scout Way, Gate Repair Specialist on Warner Ave Garage Door Spring Repair Pros on Grimsby Ave. Garage Door Repair Experts on Beatrice St. Garage Door Spring Repair Pros on Brayton Pl. Iron Gate Installers on Correa Way, Garage Door Repair Experts on Academy Dr Certified Welders on Hindry Pl. Automatic Gate Installers on Laveta Ter. 90220. 90302. 90069 90263. 92397, 90501, 91436, 91210 90212, 91020. 91735. 91302. 91310 90210 91324. 91001, 90212. 93534. 91390. 90011, 91205 90011 90670. 91606, 90723 91722, 91606, 90041. 90038 90044, 90002. 90262 90028, 91768. 93535 90640 90077, 91711. 90503. 93534, 90260. 93553 91330. 90305, 90272, 90047, 90807, 90266, 90034, 90033. 90272 91790, 90242, 91706 90042, 90262. 93534 90504 91342 91123. 90631, 90096. 90713, 91351. 91123 90304. 92821, 91016 90043 90638 91405. 90810, 91203 91601 91043, 90505 90038, 90017. 90001 91302 91803 90064 90275 90802 90034, 90095, 91335, 91601. 90631 90022 91723 90266. 91326. 91302 91606. 90064. 90056 90807 91023. 91010, 91402, 90747, 90038. 91765 90744 91205 91204. 90706, 90895, 90304. 90650 91189. 91205. 91406, 90042 91326, 91605, 91043. 90731. 91324 91107. 90260 91104 91702 91776 90810. 90020 90201 90025. 90240 90813, 91776 90020 90189 91436 93510, 91345, 90221, 91390 90201 90002 91340 90255 91042. 90505, 90503, 91776, 91502 90650 91117. 90210. 90701. 91330 90232, 91302. 91768 90067 90402, 91123. 90077 90241, 91020 91313 91384, 93590 90044 91345. 90003, and many other California zip codes!